If you have an exotic pet, finding a veterinarian to treat them when necessary is extremely important to ensure they stay in the best of health. Contacting Short Pump Animal Hospital in Glen Allen is an option as they treat exotic pets as well as domestic animals. 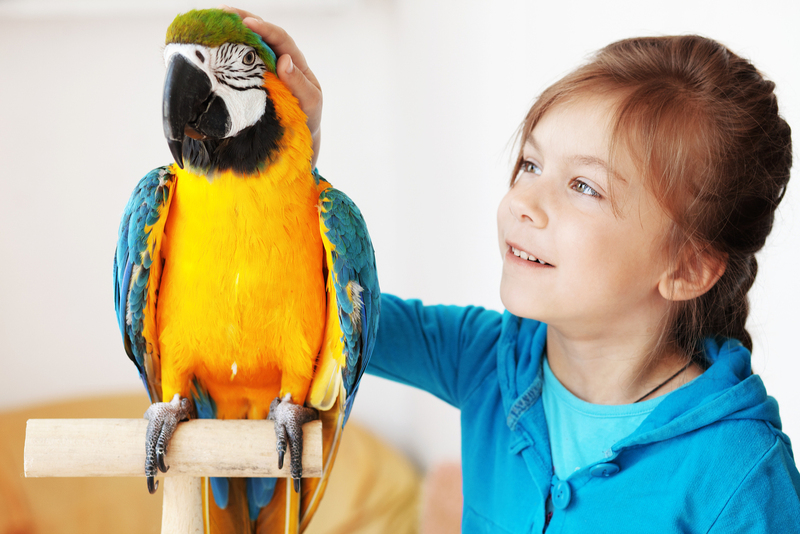 If you have reptiles, birds, or other exotic pets, read over the following information to learn more about how our veterinarian will help keep them happy and healthy. In addition to treating cats and dogs, our practice has veterinarians with experience in treating exotic pets. It is very difficult to find a vet that knows enough about these creatures to provide them with proper health care. We are happy to treat birds, reptiles, and "pocket pets" when needed. Our practice offers a comfortable, quiet waiting area, helping to keep pets of all types calm when waiting to see our practitioners. Many people believe that an exotic pet does not require regular appointments with a veterinarian. It is best, however, to bring your pet to our practice each year for an assessment of their overall medical condition. This ensures there is a health history available to look back upon if your exotic pet should happen to get sick or injured in the future. This will help our veterinarian to determine the right course of action to take to provide them with a remedy that works. Routine appointments also allow for your pet to obtain preventative measures in keeping them healthy year-round. In addition to standard examinations, our veterinarian is available to help with any care of your pet needed. If your pet needs claws clipped, teeth cleaned, or ears evaluated, this is done during their scheduled appointment. Our veterinarian will discuss tactics you can take at home to care for your exotic pet in the right manner, giving you the peace of mind that you are providing the best care for your pet. If you have questions about your pet's diet, our vet is on-hand to answer them and will also provide you with recommendations regarding portion size, brand types, and nutritional content for the specific pet you care for. If you are interested in finding more about why it is important to bring exotic pets like reptiles and birds to a veterinarian for an examination, contact Short Pump Animal Hospital in Glen Allen to discuss information with our veterinarian. Contact us at 804) 360-0100 to make an appointment today.